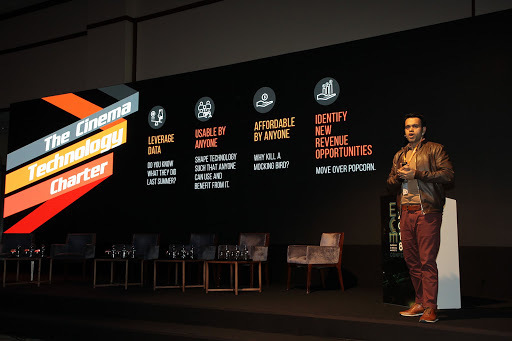 After the success of our campaign, Making Cinemas Great Again, aimed at the US market, we took the opportunity to attend the Emerging Cinema Markets Conference in Istanbul last week to announce a unique programme to bring the latest in digital design and technology to cinemas in Africa. 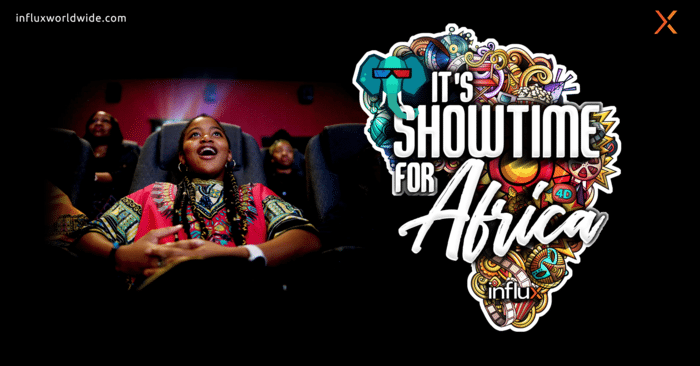 We titled it It’s Showtime For Africa and announced that any cinema that originated from, and operates in, any of the African countries would be eligible to work with Influx and gain access to our full suite of products, including ticketing websites, mobile applications, kiosks, food and beverage ordering systems and more — at no cost at all. Click here to get in touch with us for more information. We will work with the qualifying cinemas to help set attainable business targets and dedicate a full year to achieving those targets. In the event of our exceeding such set targets, Influx will work with the cinema to arrive at a share of revenue. In the event of Influx not hitting these targets by the end of the year, we will renew our commitment for another full year. So, with that out of the way, if you’d like to know more about the conference and what motivated us into doing this, read on! Warning: Get comfortable, this is going to be long! For those of you who don’t know the cinema industry, there are generally four established trade-shows that take place through the year. Visualise the typical — fancy shots throwing fancy parties, learned people sharing insights on a stage and vendors schmoozing clients in their desperate attempt to score or retain business. The big daddy of them all is CinemaCon, usually in March-April of the year at Las Vegas, USA (party down!). The carnival then moves eastwards to Barcelona for CineEurope, before settling in Hong Kong for CineAsia in December. There are a number of smaller events through the rest of the year in places such as Amsterdam, Dallas, Dubai and even Banff (a ski-resort in Canada), though the most significant of those is perhaps ShowEast in Miami, Florida. In what seems to be an already packed calendar, the prospect of yet another event coming up can be — politely put — cumbersome. So, when I heard earlier this year of a new event coming up in Istanbul in November, I was rolling my eyes. However, the more I learnt about it, I began to realise that this was a one-of-a-kind event that targeted the emerging cinema markets of Central Asia (think Kazakhstan, Turkmenistan, etc. ), the Middle East, Eastern Europe and the Balkans, and Africa. Having spent the last week in Istanbul and partnering with the event as a sponsor, Amit and I are delighted and thankful to Rob Arthur, Julie Harriss and Dan Harriss at DCS Events for putting together a rather unique event for a region that definitely requires care and attention. Tasked with speaking on a panel on Cinema Technology, I decided not to do what most speakers prefer (hard sell - nothing wrong with that, it’s just not me!). Instead, I put down a few discussion points for the panel. That slowly turned into me sticking my neck out and positioning a “Cinema Technology Charter” — my visualisation of what technology should do for cinemas and what cinemas ought to ask of technology partners. More on the charter in subsequent posts. For now, we’re talking about Africa and our announcement for the continent. Our announcement stemmed from the belief that, although the numbers today are stacked heavily against cinema-going as a habit in Africa, it can change. Black Panther showed that, when served the content that resonates with them, people will go to the cinema. When AMC Cinemas recently launched as the first cinema operator in Saudi Arabia in over three decades, they took the brave decision to do so with no box office (ticketing counter) and go purely online. Not only did they sell out but continued to operate without a box office for nearly two weeks! Subsequently, VOX Cinemas also opened in Riyadh and have continued to see over 60% sales originate from digital channels, and that’s including Food and Beverage! 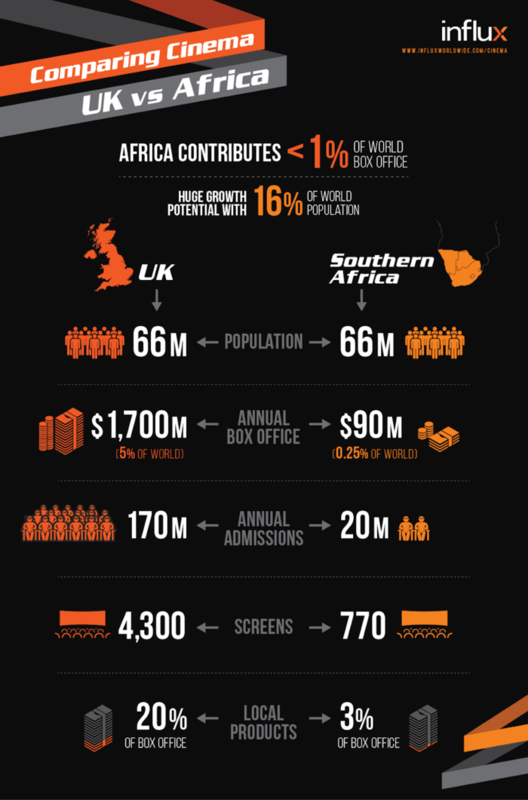 People in Africa often travel long distances to reach a movie theatre. By knowing the exact status of tickets and having the ability to book them before time, they can take the trip without being worried about probable disappointment. By encouraging the use of digital payments (Africa is already a leader in the digital payments world, with Kenya’s M-Pesa powering transactions worth €29 billion or 48.76% of the country’s GDP!) and no cash, cinemas can reduce operating costs of security and cash management. With cinema tickets costing as much as €5 in Mozambique, having a digital platform that allows for tickets to be sold at variable, demand-based pricing could help. A key tool offered by Influx, called Pre-book, allows guests to purchase the right to a movie ticket (and not the movie ticket itself) way before a movie gets released or scheduled. A tool such as this could help cinemas sell tickets for Chiwetel Ejiofor’s enactment of Nigerian musician, Fela Kuti, as soon as the movie is announced which, generally, is at least six months to a year before release. Who knows, if this feature did exist earlier, perhaps that movie might have actually seen the light of day (and not been forgotten) by using the Pre-book interest generated across the first three months to predict the demand for the movie at the box office. Young Africans tend to want to do things that their friends do, shared Luis Roberedo Mota, Director at NOS Lusomundo Cinemas, Moçambique, Angola and Portugal. By allowing youngsters to plan movies together, where each pays for her/his own ticket — without burdening one individual with having to foot the bill for everyone, more youngsters are likely to want to go watch films at the cinemas. While the box office may not always have a Black Panther or similar movie playing, there’s a massive catalogue of films that Africans have traditionally loved. Our friends at ComScore can help us mine some out; these can be put up for voting on a weekly basis and a particular show in the week can be dedicated to screening the most-voted movie. The list is endless and we’re looking forward to working with cinemas in Africa to customize offerings to their audiences and bringing more people in through their doors! I’ll leave you with this comparison of numbers between the United Kingdom and Southern African countries — given that their populations are near identical — for you to visualise for yourself, the opportunity at hand. Harish Anand Thilakan is the Founder and CEO of Influx. His journey as an entrepreneur began fifteen years ago when he founded Influx, but his vision was quite clear even whilst still in high school — he’d written, way back in 2000-2002, that he’d be designing websites and hosting them as well! Cinema is something that has always held his fascination, especially for its capacity to weave dreams and build memories. Influx Worldwide has since crafted digital properties for over twenty-eight cinemas globally, working with them to create guest-experience touch points that improve brand-positioning and help increase revenue and loyalty. The Chennai Rains Mania on Social Media — Fact or Fiction?